We have had so much snow this season. . .I feel like I'm spending every day in yoga pants or jeans - with snow boots. Not complaining really, I just miss stretching my fashion and style muscles. In fact, I've had an outfit brewing in my mind since December. 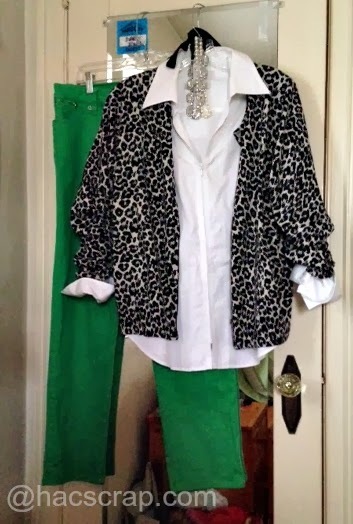 You know about the green jeans, and when my mom gave me this awesome Lands End leopard cardi for Christmas, I knew there was an outfit in there somewhere. . .all I needed was the opportunity to wear it. The opportunity finally came when I hit the Philadelphia Home Show to see The Painted Home's Crafty Camper. 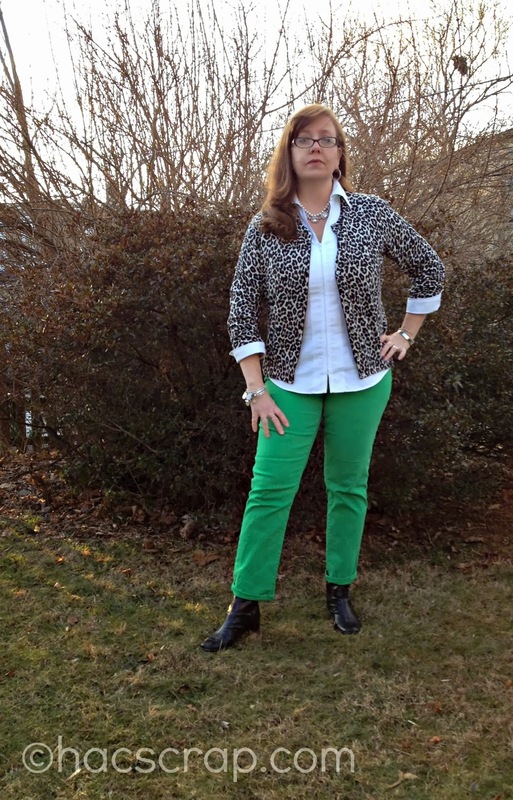 The outfit was perfect, and I got several compliments on the combination. I paired a sting of pearls with a jeweled statement necklace for some sparkle at my neck, then kept the rest of my jewelry to my typical silver hoops and stacked bracelets.